Unknown, unattested before 17th c.. Possibly descended from Swedish dialect skvabb (“fatty, flabby”). 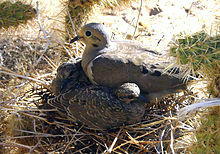 (sometimes attributive) A baby pigeon, dove, or chicken. The meat of such a baby bird used as food. On her large ſquab you find her ſpread, / Like a fat corpſe upon a bed, / That lies and ſtinks in ſtate. Punching the squab of chairs and sofas. (obsolete) To fall plump; to strike at one dash, or with a heavy stroke. (transitive) To furnish with squabs, or cushions. (transitive) To stuff thickly and sew through, the stitches being concealed by buttons, etc. Nor the squab daughter nor the wife were nice. (slang) With a heavy fall; plump. The eagle took the tortoise up into the air, and dropped him down, squab, upon a rock.